The 1.8 million year old skeletal remains from Dmanisi are among the earliest hominids outside Africa (excavations at Dmanisi were reported in 2002 and 2007), so they have significant implications on hominid evolutionary narratives. Nevertheless, the popular Dmanisi story may be told as much by evocative images as it is being told by conventional archaeological discourse. We probably could say much the same thing of nearly any other archaeological tale reaching popular discussion, so there is nothing unique about the Dmanisi coverage. Nevertheless, it compels us to think carefully about media storylines and visual imaginings of the distant past. The aesthetics of evolutionary archaeology can be an enormously powerful mechanism to help us imagine our earliest relatives, so there is no reason to forsake our disciplinary fascination with images. The challenge is perhaps instead how to make images self-reflective; that is, how do artists “reconstruct” fragmentary skeletons or imagine everyday life in particular ways, and how are such images received in public archaeological discussions? It is short-sighted at best to dismiss media coverage of archaeology and imply that it is disconnected from scholarship. Instead, popular archaeological storytelling has genuine impacts on scholarship that are worth dissecting. The Dmanisi storyline that made it to the press actually captures the basic implications of the interpretation reasonably well. The study’s authors argue that the five Dmanisi crania “represent the full range of variation within a single species”; that is, these five individuals represent normal variation within a single species. This challenges the established analysis that distinguishes a vast range of hominids as many individual species living between about 2.3 million and 500,000 years ago. 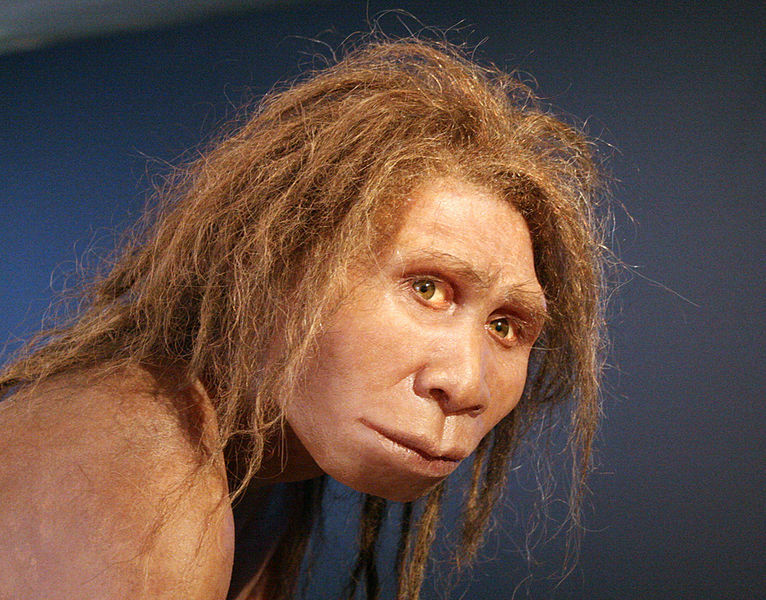 Last week’s Science paper instead argues that myriad hominids now separated as distinct species should be lumped into a single Homo erectus line—Darren Curnoe wondered if Dmanisi could “doom 14 species?,” including Homo rudolfensis, Homo heidelbergensis, and Homo habilis. The Dmanisi narrative may be particularly compelling because the Georgian finds are quite well preserved crania. A skull provides a comprehensible visual narrative mechanism, and Dmanisi’s well-preserved crania stared out of many newspapers. The skulls’ eye sockets and face in situ, cleaned, and in 3D scans evoke a recognizable (if diverse) humanity; partially covered in soil the Dmanisi skulls evoke an ambiguous sense of authenticity and antiquity. The Dmanisi crania provide a much different visual than the fragmented teeth and skeletal elements representing many earlier hominids. 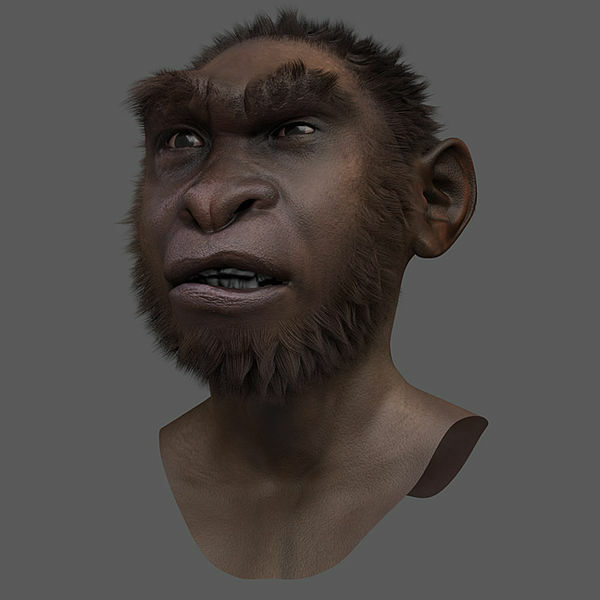 Many of the earliest hominids remains only take a visually arresting physical form with the assistance of paleo artists. Compelling paleo art provides a scientific imagination of physical appearance, corporeal presence, and life experience that cannot be accessed with material evidence. This is not at all unique to hominid prehistories: all archaeological data is imagined in some form, regardless of the preservation or the scientific rigor used to interpret archaeological remains. It has become the expectation that all these popular archaeological narratives will illustrate everyday hominid life scenes. 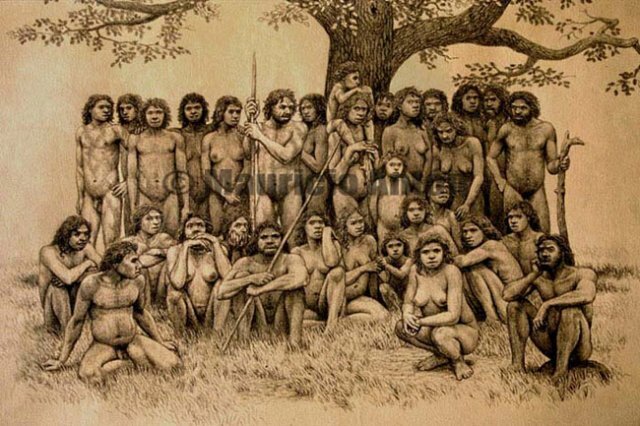 Among one of the images featured on many pages last week was Mauricio Anton’s Homo georgicus family scene (Homo erectus georgicus is one of the labels tentatively applied to the Dmanisi finds). Anton’s illustration imagines social bonds that almost certainly existed at Dmanisi, but those emotional relationships—hominids in a quiet circle surrounding gargantuan ribs—are not easily read into archaeological material culture. 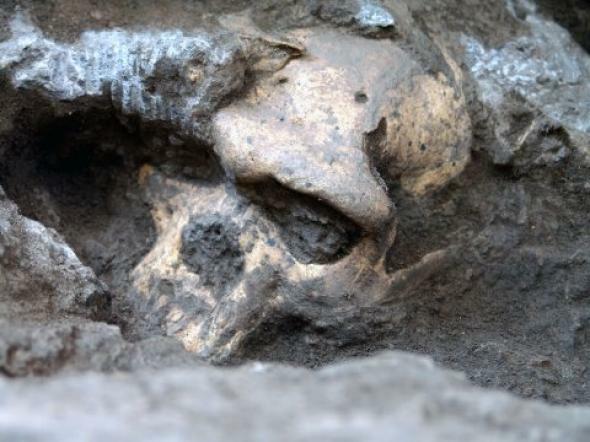 National Geographic’s 2005 piece on Dmanisi cast the remains under the banner “Family Ties,” but their image did not imagine a familial scene and instead depicted simply three bald hominid heads. 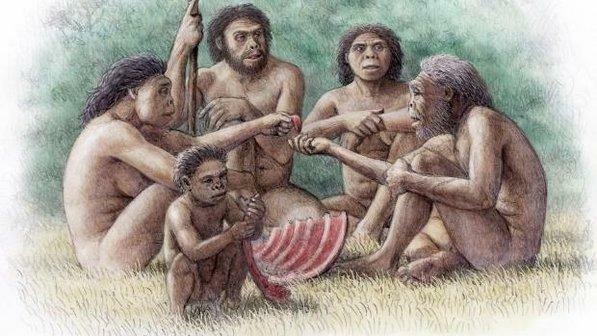 Anton’s image of the “Atapuerca family” likewise pushes the envelope on paleo art in its aspiration to a picture of sociality and kinship among Homo antecessor. The Gran Dolina site in Spain’s Sierra de Atapuerca is home to the very earliest European hominids, including some dated as early as 800,000 years old. Anton’s “family” image of hominids labeled Homo antecessor is striking in its similarity to family reunion pictures: the assembled Homo antecessor relatives self-consciously face the artist, one child perched on an adult’s shoulders refuses to sit still for the image, and a few of the party sit patiently and seem disinterested in being captured in artistic memory. Paleo artists typically isolate individual head or bodies, cast single figures in subsistence, or craft muscular and skeletal reconstructions of archaeologically recovered hominids. Cicero Moraes’ model of the 1.5 million-year-old Turkana Boy (Homo ergaster) borrows from those conventions but adds a striking snarling face to the Kenyan adolescent. While we might not see Mauricio Anton’s Dmanisi and Atapuerca scenes as especially realistic scenes—even if the bodies may be scientifically accurate—they do create a provocative image that does not simply follow paleo artistic conventions. However, the challenge of works that press beyond physical descriptions of archaeological data is that they risk creating reactionary ideological pictures of prehistory. Much of 20th century paleo art is littered with exceptional artworks and museum dioramas rendering absolutely ideological visions of gender, the color line, and social structure. 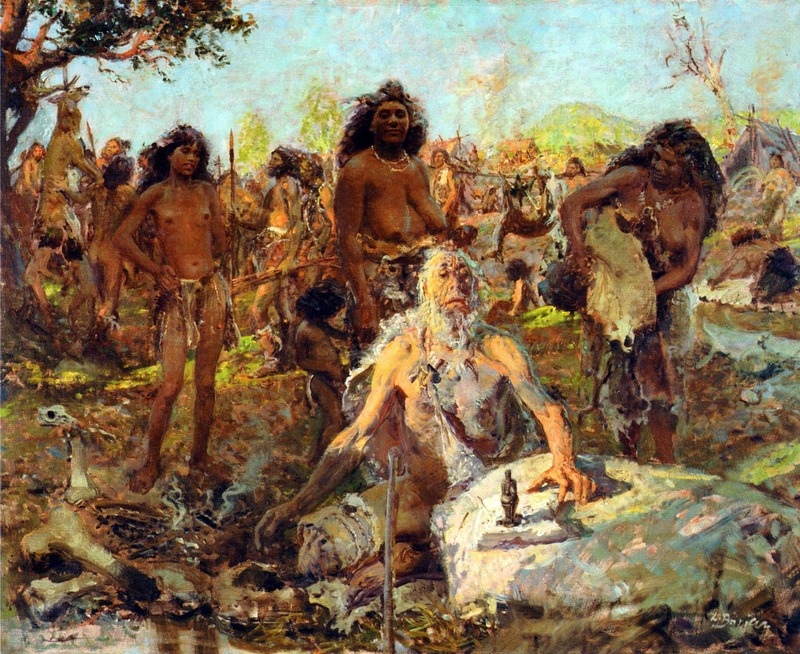 Zdeněk Burian, for instance, left a rich series of paintings of hominids like his 1951 image of a Venus figurine that graced the pages of the Time Life “Early Man” volume in 1965: the elder male producer of the Venus surrounded by fetching female admirers is a creative imagining of prehistory, but it simply reproduced Cold War gender conventions and projected them onto the Upper Paleolithic. A host of exceptionally skilled “paleo artists” now produce what are likely quite accurate physical reconstructions from skeletal remains, but such work is perhaps most powerful when it recognizes that it is less about clinical science than emotion. Visuals that appeal to reason and science alone—stripping the musculature off early hominids, isolating hominid heads alone, or focusing on a human struggle against nature—risk rendering human life and visuality in accurate but boring terms. Yet the most assertively humanized and fascinating early hominid illustrations bring their own risk of projecting ideological fantasies onto the past and naturalizing them in the present. Fundamentally such art makes an emotional appeal that is about imagining an experience, envisioning a corporeal form, and fantasizing a common humanity. Those in the UK in December might want to visit the Theoretical Archaeology Group session “Seeing, Thinking, Doing II: Visualization as Knowledge Creation” reported in Sara Perry’s blog The Archaeological Eye. 2003 Representation and Aesthetics in Paleo-Art: An Interview with John Gurche. American Anthropologist 105(1): 146-148. (subscription access). 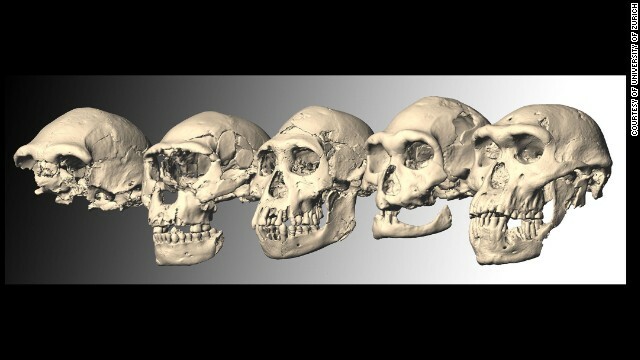 2013 A Complete Skull from Dmanisi, Georgia, and the Evolutionary Biology of Early Homo. Science 18 October 342(6156):326-331. 2007 Faces of the Human Past: Science and art combine to create a new portrait gallery of our hominid heritage. Natural History online. 1997 The Cultural Life of Images: Visual Representation in Archaeology. Routledge, New York. 1992 The visual language of archaeology: a case study of the Neanderthals. Antiquity 66(253): 831-844. 1998 Ancestral Images: The Iconography of Human Origins. Cornell University Press, Ithaca, New York. 2003 Representing Archaeological Knowledge in Museums: Exhibiting Human Origins and Strategies for Change. Public Archaeology 3(1):3-20. 2008 Envisioning the Past: Archaeology and the Image. Blackwell, Malden, Massachusetts. 2002 A New Skull of Early Homo from Dmanisi, Georgia. Science 5 July 297(5578):85-89. 2010 Facial reconstruction – anatomical art or artistic anatomy? Journal of Anatomy 216(2):235–250. 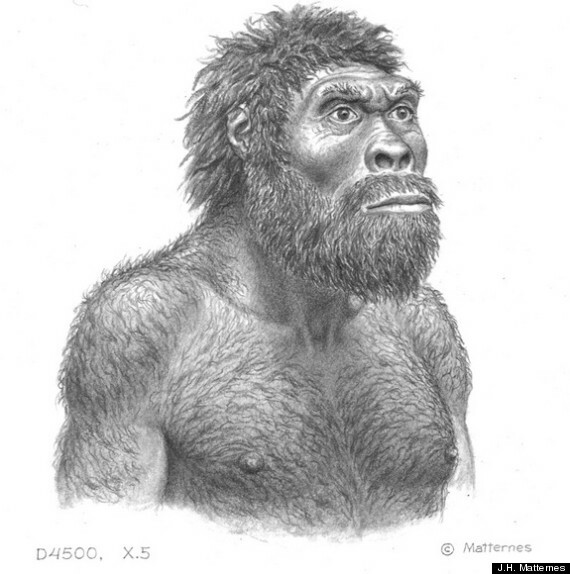 Posted on October 23, 2013, in Uncategorized and tagged #WPLongform, Dmanisi, evolution, paleo art. Bookmark the permalink. 5 Comments.